3-Day Pressed Juice Cleanse – These Two Eyes! The evening before I started my pressed juice cleanse I had nightmares. I dreamt about being tempted by chocolate, steak, waffles and cold beer which made me fail at the task of staying ‘clean’. I agonized about the unattainable. Not only because I was on a strict no-solids, no-alcohol, no-caffeine regiment, but also because those delicacies I fantasized about also weren’t available to be purchased or consumed from my office, where I unfortunately was in my dream. Plus, I don’t even like waffles. My decision to cleanse was fast and without waver. Coming back from a long New Year’s celebratory weekend in Sydney my body felt overworked and screamed for a rest, both mentally and physically. I even contemplated running off to a wellness retreat for a few days, and a few thousands of dollars of debt. Luckily once I discovered I didn’t have the transport means to get there I came to my senses and started brainstorming on something much more sensible albeit my first time ever going 3 full days without a solid meal. Others may not deem that as sensible. Choose 6 of 8 juices to consume daily. The options online were presented from a drop down list in a calculated way so that from whichever option I chose I had the right balance of fruit, veg, nuts and nutrients in the next. Pick up (with 8 stores to choose from in the Melbourne area and apparently a pop up coming to Richmond soon!) or Ship for an additional charge. The shipments were made to my office in two installments containing a day and half’s worth of juice per delivery. Because they have no added preservatives and are unpasteurized, the daily delivery meant that I knew that what I was drinking was fresh. Day 1: I woke up hungry from a light dinner the night before in which I’m still unsure was a good thing, or set me up for success. I was excited and eager to try each juice, anticipating one before the next in the hopes that it would be equally as tasty as the last, or in the cases where it wasn’t my favorite, at least better. As the 6 primary juices are meant to be consumed over 12 hours, I found myself constantly checking the clock every two hours in anticipation of my next juice. In fact, I’d even argue that it made me more productive at work as I rewarded myself in between small tasks and projects. Around mid-day I was relieved to know the Earth juices tend to have more fruit than veg and the sugar intake was most definitely welcome. Coming down from Earth 3 I started to feel a slight light headedness. By Earth 5 I was starving. I managed to maintain my composure and stand by my cause at dinner time while my roommate cooked the most enchanting smelling pasta. 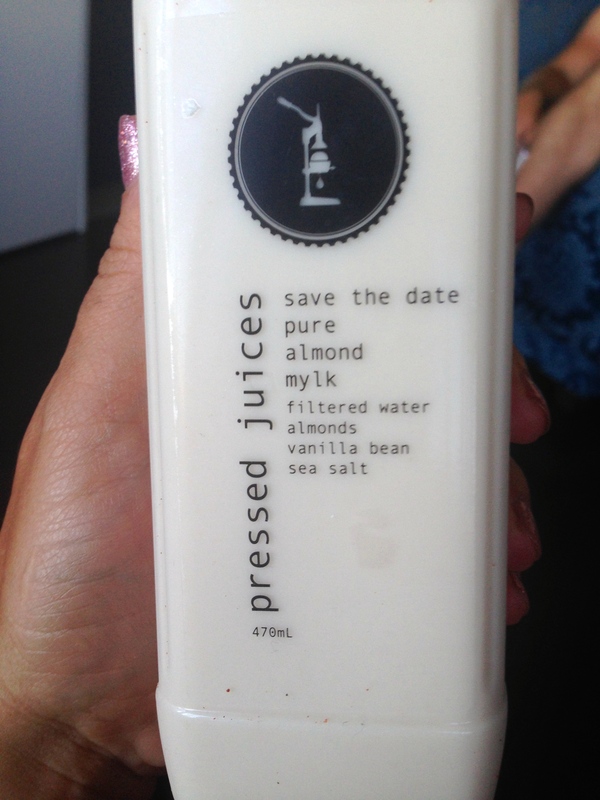 I found Zest 3 absolutely refreshing and the almond mylk interesting to say the least. By the last juice it was nearly 10 pm and I was spent. I must have started too late in the morning as I felt like I had been consuming all day and a bit bloated with water weight. I went to bed hoping to feel lighter in the morning. Day 2: I approached the second day with the same amount of enthusiasm as the first and was really ready to do this thing. I didn’t feel in the slightest that I would break. Two juices in however my tummy gave a rumble. Throughout the afternoon I truly got to understand what the meaning of ‘cleanse’ was all about. By late afternoon I felt back to ‘normal’ in juicing terms and looked forward to one juice to the next. Simple mentions of solid food items and the normal task of walking by a restaurant made me talk in detail about the ‘could be’ but I knew it was all in my head. Things became a bit awkward that evening when I went to a friend’s house and BYO’d my juice to his dinner gathering, strong and proud. Day 3: Despite not being able to finish my Slippery Elm the night before, I woke up hungry again. However, overall for the last day I felt great! While my intention wasn’t to use this as mechanism for dieting, overall I felt lighter and tighter and I anticipate over the next few days as I transition back to solid food the water bloating will reduce. As the afternoon wore on I noticed that my intervals between juices were getting shorter. The hunger pains were definitely increasing, but I also wonder if it was my subconscious knowing I was getting closer and closer to ‘real’ food. During my first two days I felt the need to keep my juicing a secret in the office but by day 3 I had a few converts convinced. 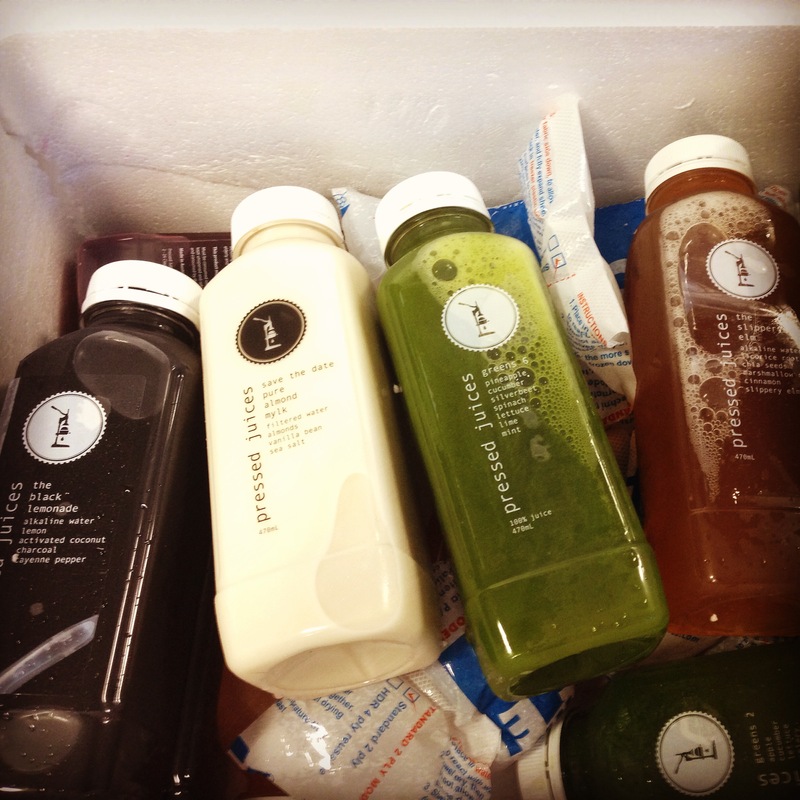 On the last day I joined my friend to Hawthorn’s Pressed Juices store as he wanted to try it out on a one day trial. Shopkeeper Morgan did an awesome job explaining the various cleanses and juice combinations and for a second I was tempted to even go for day 4. However, going to bed knowing that I completed this awesome, healthy challenge made me feel empowered and gave me the want to continue to think more healthily about how I approach my eating and drinking habits – even if it is just for a short time before I get distracted again. Baby steps are best but I will definitely take Morgan’s recommendation of trying a 3 day cleanse seasonally. 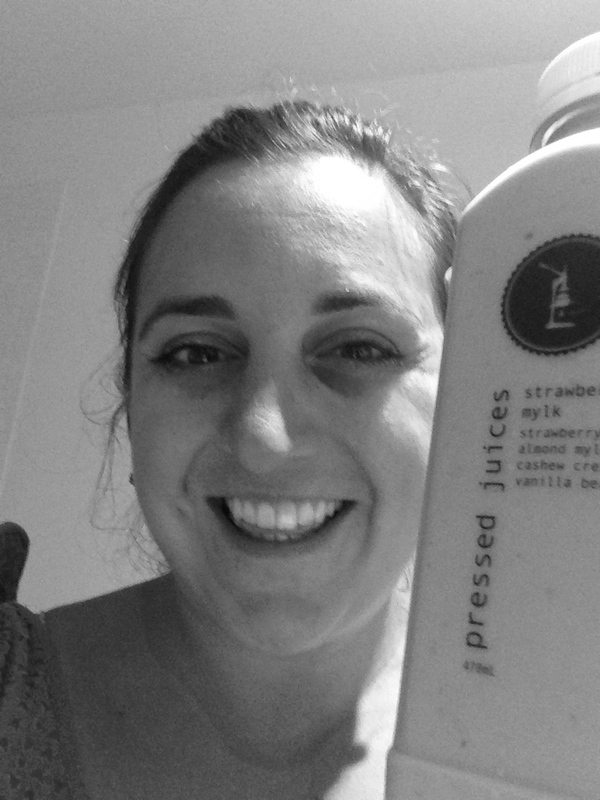 Pressed Juices: Thanks for such an awesome experience. One tip, your bottles are so hard to open butI look forward to seeing you move from plastic to glass in the near future, and in Richmond soon!